The Seikyodo Ichigenkin tradition is the most traditional of the three branches of ichigenkin from the original tradition, retaining the ancient philosophy, and Zen practice of removing all unnecessary musical elements and embellishments. 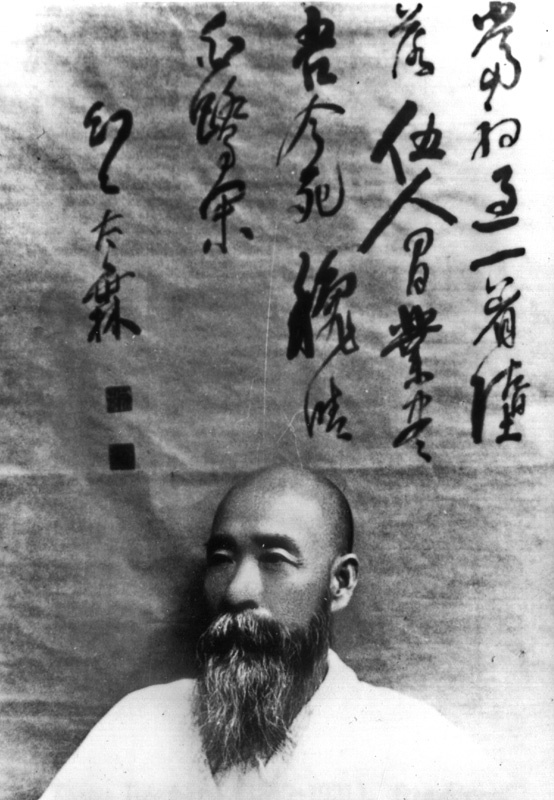 Tokuhiro Taimu was the founder of Seikyodo Ichigenkin, and had an active interest in Zen and was known to retreat into mountain caves for long periods of time, to fast, meditate and play ichigenkin. Minegishi Issui is the great-great-granddaughter of Tokuhiro Taimu, founder of the Seikyodo Ichigenkin tradition. She received her earliest training from her great-grandmother, Matsuzaki Issui, who was the 3rd hereditary head of Seikyodo and who was also designated by the Japanese government as official guardian of the Ichigenkin tradition, as one of the country’s Intangible Cultural Treasures. In 1988 with the death of her great-grandmother, the young Minegishi succeeded to the position of 4th Iemoto, while receiving further instruction from Saito Ichiyo who was entrusted as her guardian and tutor in the tradition. Minegishi received a Bachelor’s degree from University of the Sacred Heart, Tokyo, and also graduated with the 40th class of the NHK (Japanese National Broadcasting Company) training program for young performers of traditional Japanese instruments. 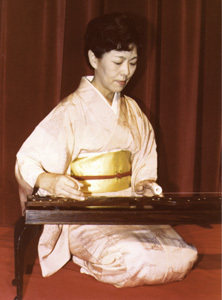 In 1994 Minegishi performed at the Boston Conservatory’s Suelly Hall and at Carnegie Hall, and in 1996 she commissioned and debuted “Words of Poetry and Magic from the American Indian Oral Tradition,” a groundbreaking contemporary work for Ichigenkin and Biwa The following year, her study of the Vietnamese Dan bau (one string zither) in Ho Chi Min City with Nguyen Thi Hai Phuong, helped to further broaden Minegishi’s musical horizons. In 2000 Minegishi was responsible for the training of actors and actresses for the popular NHK television drama series “The Ichigen no Koto.” In the last few years Minegishi has had an active career performing ichigenkin in over ten countries throughout the world. 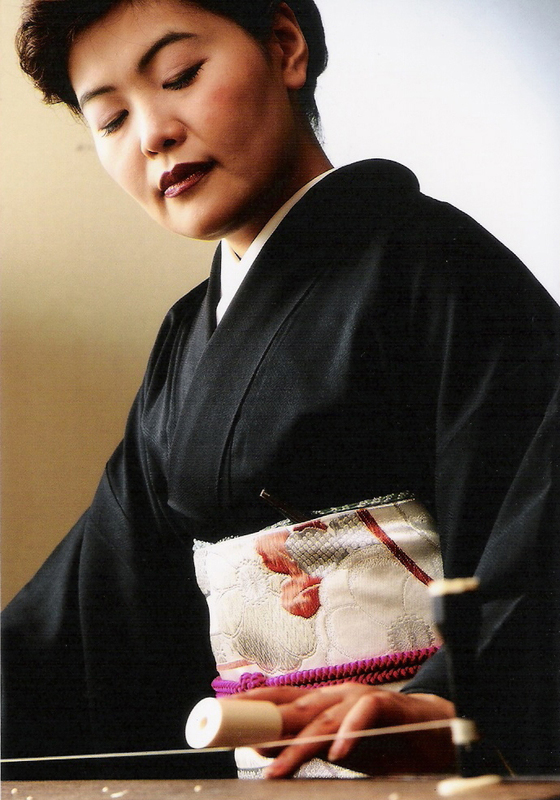 In 2008, Minegishi had the honour to perform for Her Royal Highness the Empress of Japan. 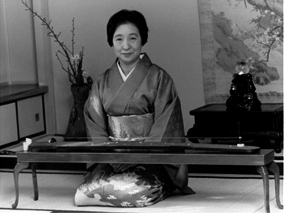 Saito Ichiyo studied Noh Theatre and koto since her childhood, later becoming fascinated with the sound of ichigenkin. She began her studies in ichigenkin with Matsuzaki Issui, the 3rd Seikyodo Iemoto, becoming her top student. At Matsuzaki’s death Ichiyo became the guardian of Seikyodo ichigenkin, maintaining its tradition while working to further its development, and training numerous new students. Ichiyo has performed ichigenkin throughout Japan and internationally in Europe and the US. She has a solo CD of her ichigenkin performance available in Japan. Ichiyo is the head teacher in the Seikyodo style in Tokyo. Isshi Yamada performed both nagauta shamisen and ichigenkin, reaching prominence in both styles. She started to study ichigenkin in 1958 with Seikyodo Ichigenkin, and in 1963 was given the professional name of "Isshi" , before moving to Hawaii in 1965. Soon after, Yamada was recorded for the 1967 Folkways album “Koto, Music of the One-String Ichigenkin,” for which she never was paid. This was the first recording of the ichigenkin in the west, and is still available for download from Smithsonian Folkways. Yamada taught and performed in association with the Univeristy of Hawaii for many years before her passing. Ichigenkin.com is licensed under Creative Commons.